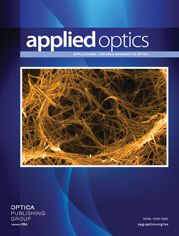 The author is with National Central University, Institute of Optical Sciences, Chung-li, Taiwan 32054, China. The main peak in the autocorrelation function of bar codes is here utilized as the signal of accurate alignment. Attention is therefore directed to the problem of how to increase the contrast of the main autocorrelation peak above the remaining part of the correlation signal and to the problem concerned with the upper limit that the contrast may attain. To meet different requirements of accurate alignment, a series of bar codes is designed. They are classified into several categories according to their performance characteristics. The internal relations between these categories are discussed in greater detail. * Denotes the structures with a better performance.